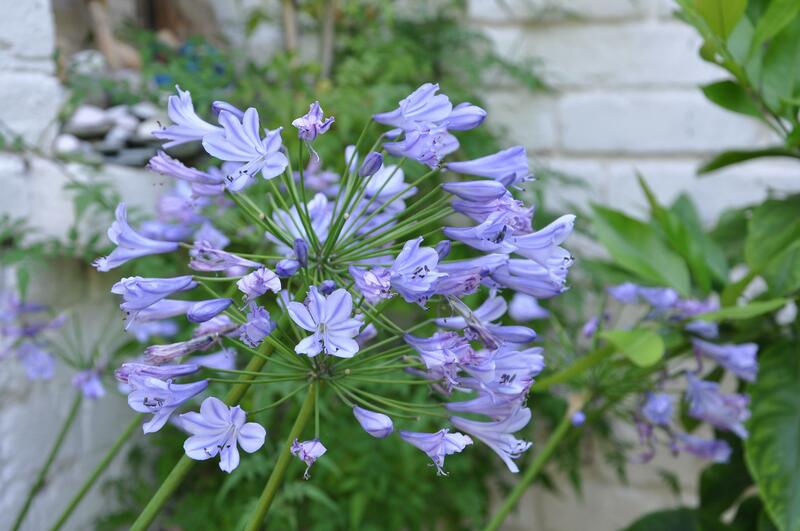 Throughout July and August the blooms came and went in the garden giving ongoing and ever changing colourful displays to feast the eye. It truly was a treat. Perrenial bulbs such as the lilly will give you endless pleasure year upon year and you can always add to them as the years go by. I have planted all of my favourites. Plant bulbs out in early spring for summer blooming. 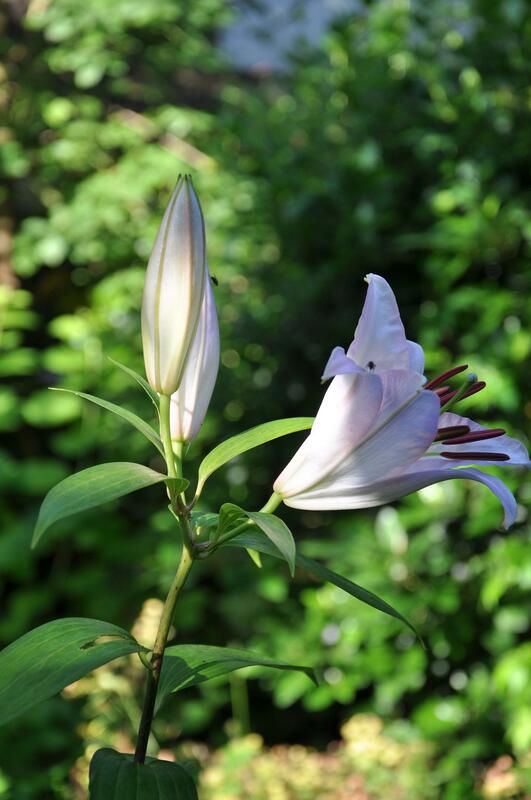 If you notice anything nibbling the leaves and flower buds it is more than likely the lily beetle, get some spray that will eradicate them otherwise the buds will never get to bloom. 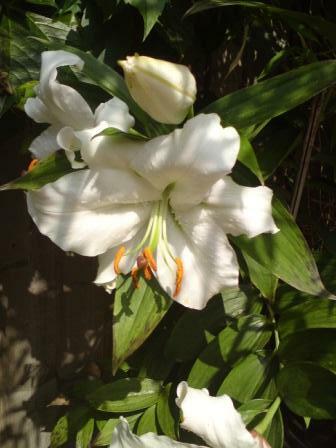 The oriential lilly blooms a little later giving a flouncy display with it’s blousey blooms and will fill the whole garden with the most amazing smelling perfume. The usually flower to two to three weeks. Keep them well watered if in pots. 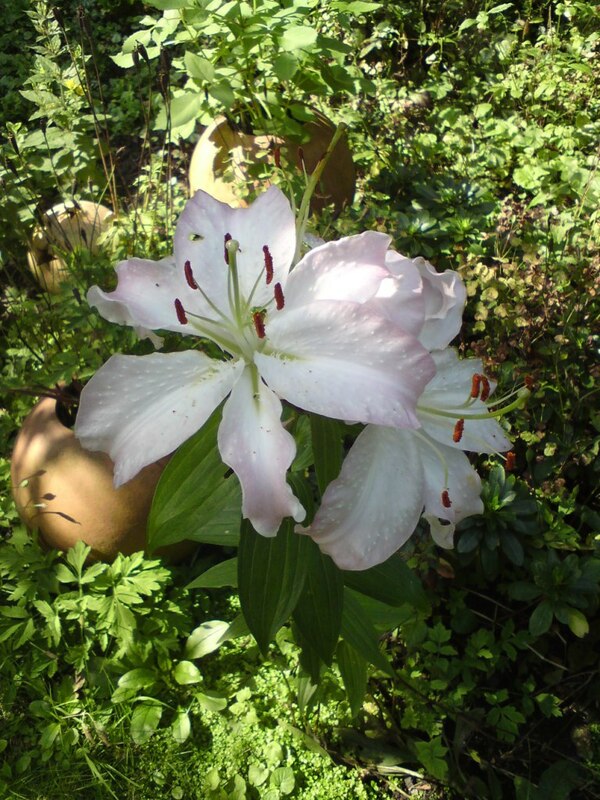 Along with the longiflorum lilly which I love to grow for it’s long elegant shape and form with trumpet shaped blooms and subtle scent. 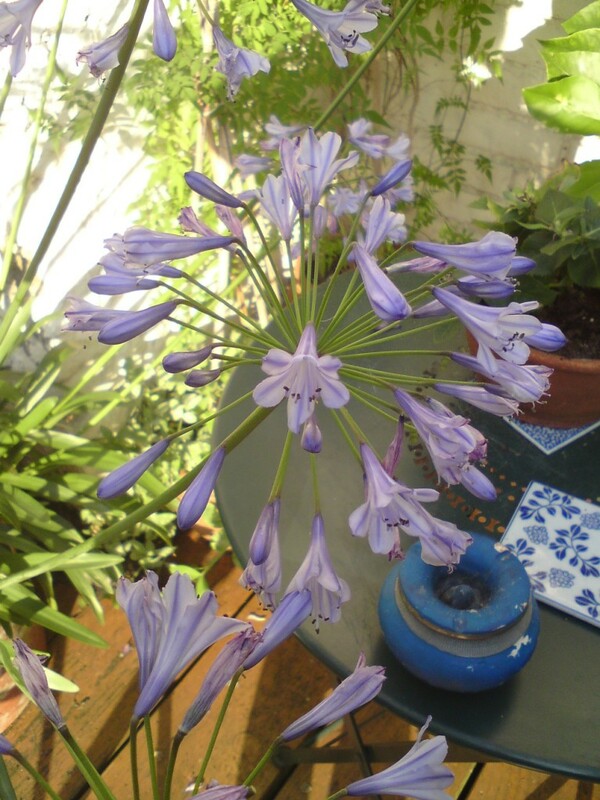 Mine are really late this year but the blooms are just about to break forth – waiting patiently! 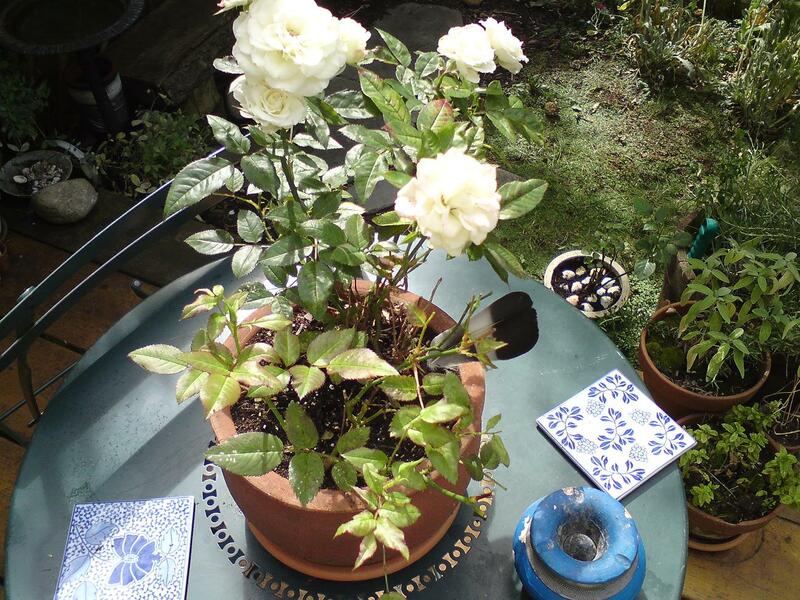 Roses are another great summer plant – they will die off in winter back to twiggy stalks and regenerate themselves in spring – I like to grow small patio roses in pots if you feed them they will give you a long summer blooming reward. 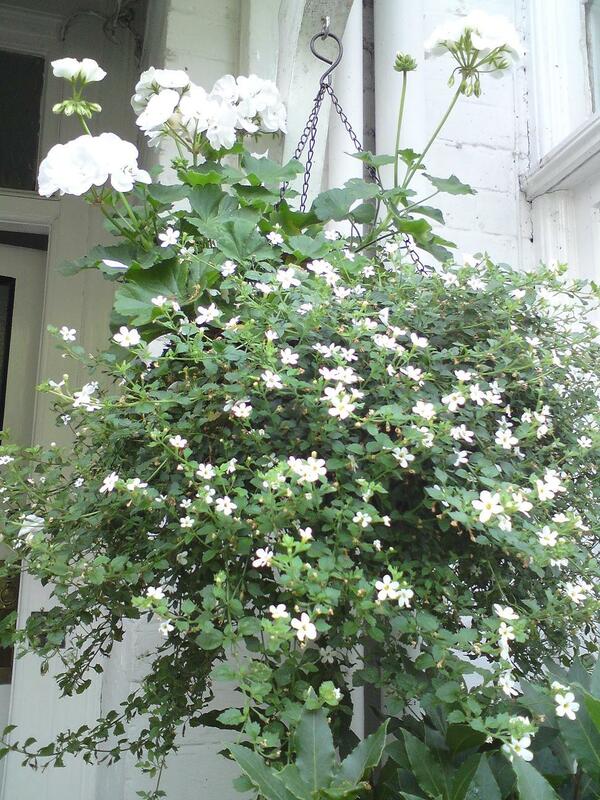 You can prune them back in late autumn or winter. 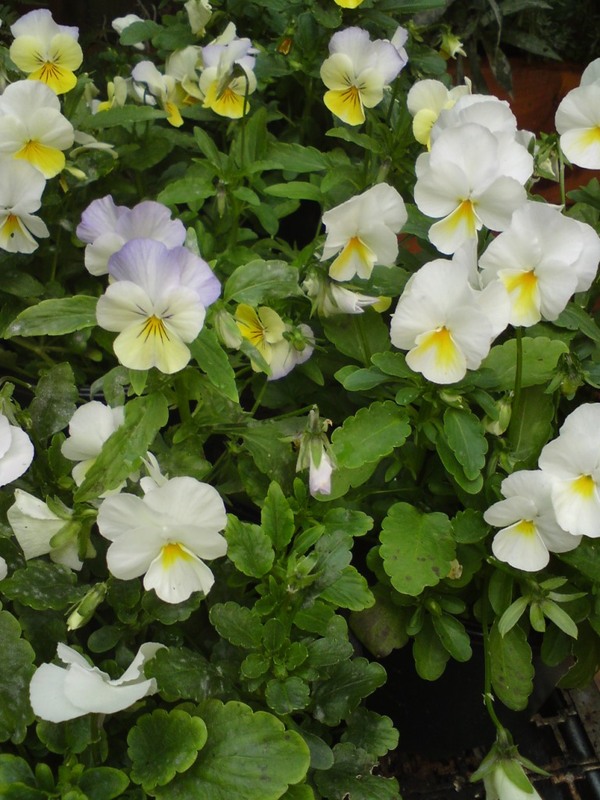 Violas are similar to pansies but produce smaller (and I think cuter) flowers in abundance, plant bedding each year or grow from seed yearly to give colourful displays of pots. 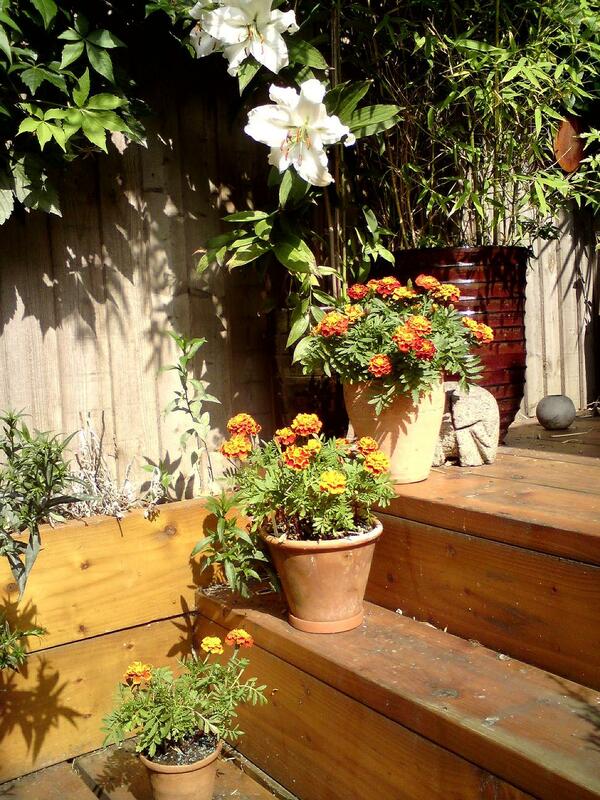 They smell so sweet when the sun is shining on them and they will tolerate a semi shady area. 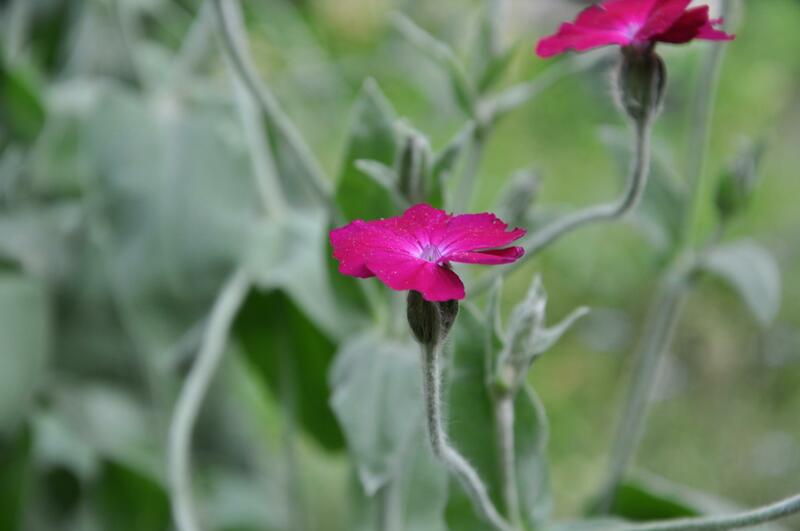 Deadhead and feed on a regular basis for a long flowering period throughout the summer. 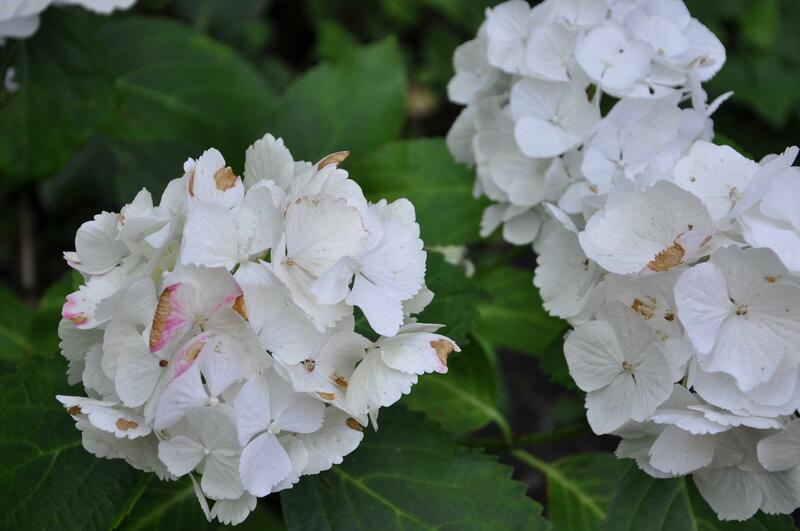 Seeds will form on dead flower heads that are not removed, you can collect these and grow bedding plants for the following year. 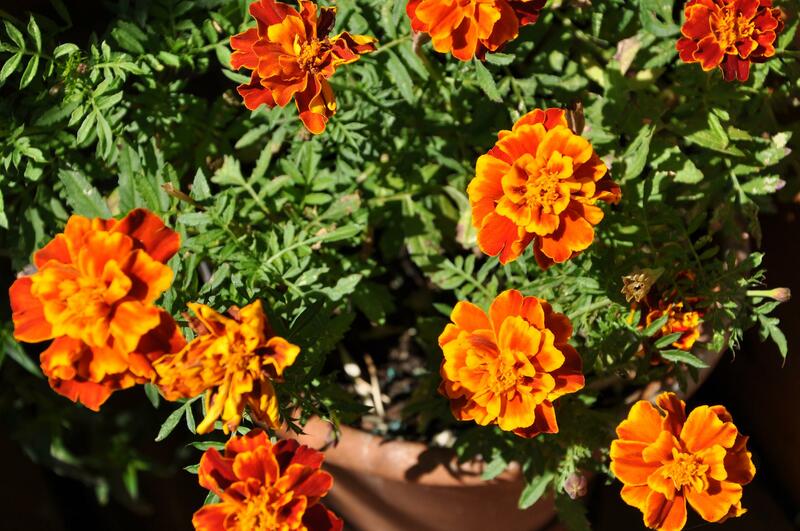 The bright summery colour of the marigold will herald summer whatever the weather – guaranteed to cheer you up on the gloomiest of summer days. 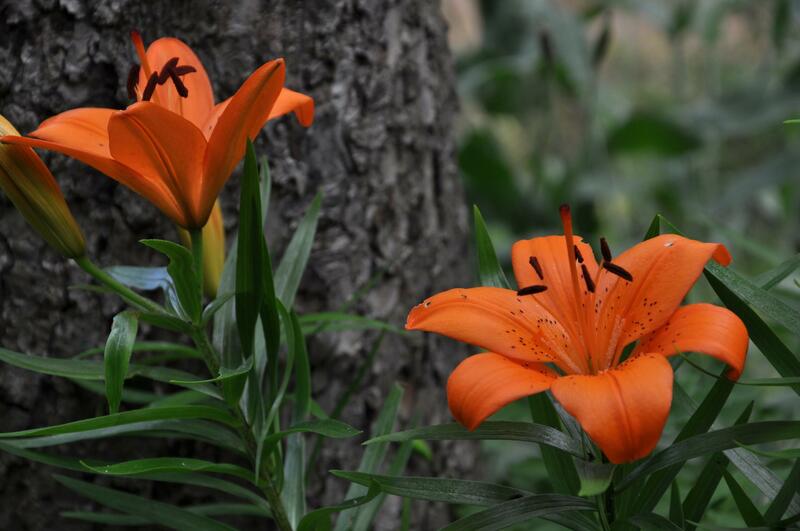 They have a long blooming period and flower on for months on end throughout the summer and early autumn season. 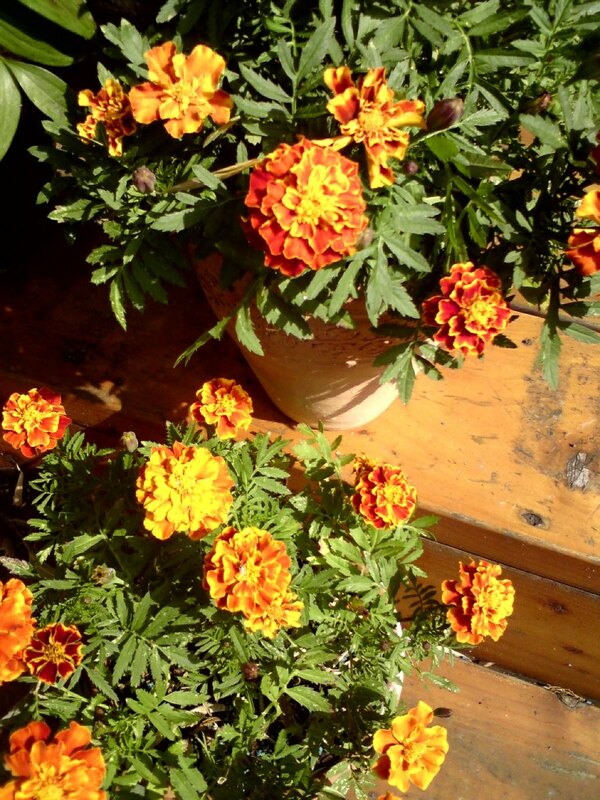 Feed them and deadhead them regularly to get the most from the plants. 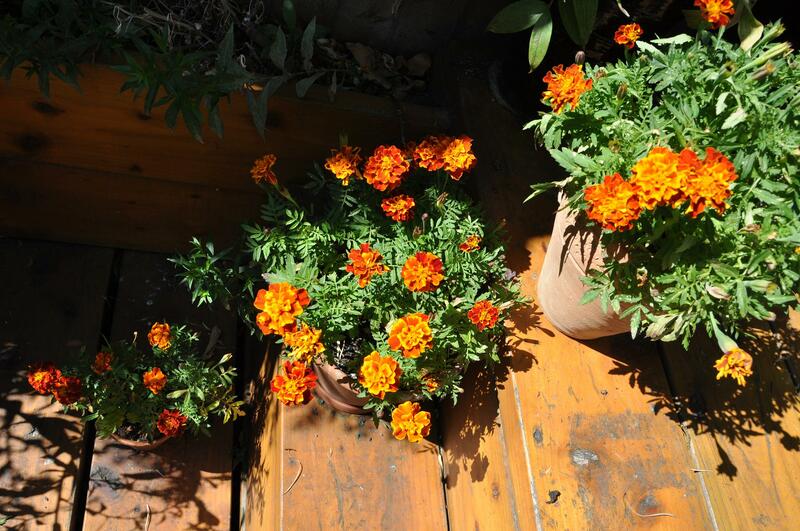 Plant bedding each year or collect seeds from the dead flower heads to grow plants for the following year. They love a sunny spot. 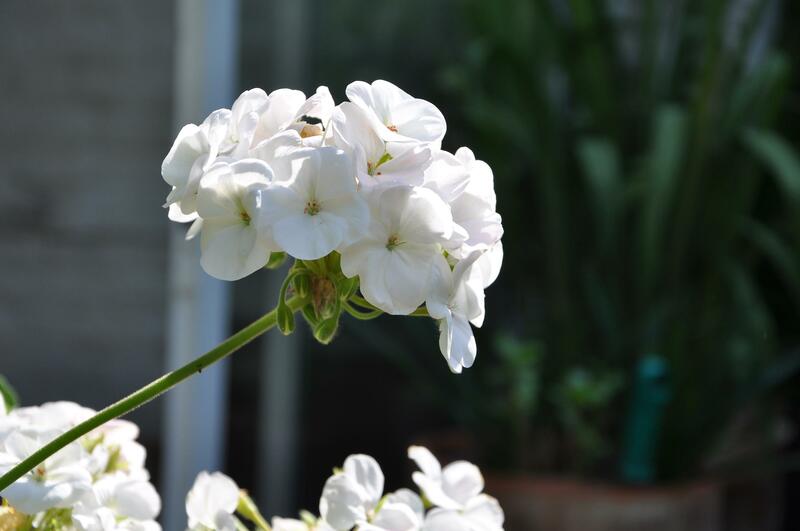 Geranium window planter – open up your windows and bring the summer inside! 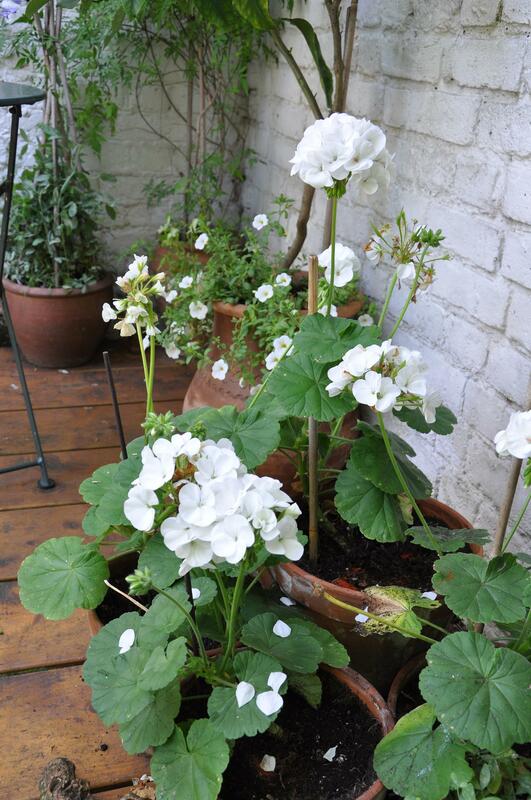 Geraniums will bloom for months on end throughout the summer. 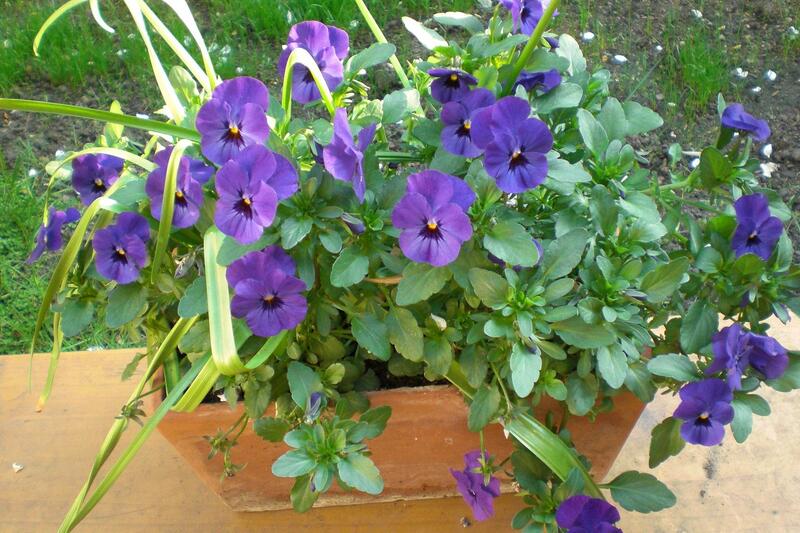 Feed them now and again to keep the blooms going and take them inside in winter to protect from the frosts and they will gladly bloom for you again the following summer. They will happily bloom in a semi shady spot. 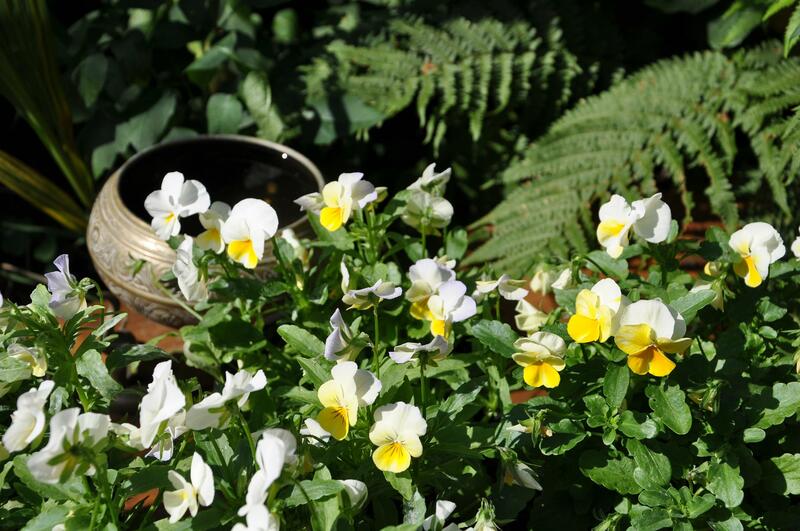 Million bells seen to the rear planted beneath the lemon tree produce blooms all summer long and are great all summer long bedding for pots or hanging baskets. 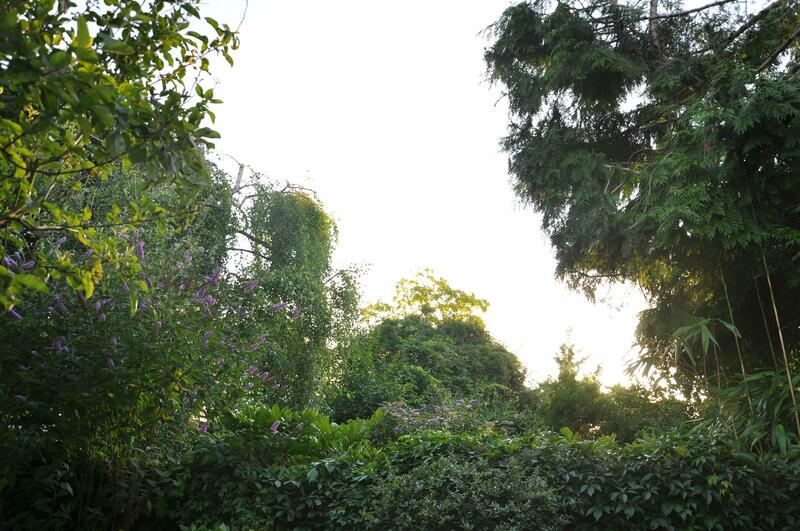 The Buddleia in bloom to the left of the picture blooming throughout late June and August attracting butterlies into the garden – they love this tree. It gets chopped right back each year and sprouts out again in early spring producing deep purple flowers. Staring into the distance I am already thinking about next spring! Now is a good time to get spring bulbs in. If I say there are about one thousand apples on the tree this year it is probably an accurate calculation. Have started to harvest some and distributed amongst friends and neighbours. They are delicious to eat really juicy and quite sharp and leave an after sweetness lingering in your mouth. Great for cooking as well because you don’t have to add any sugar. 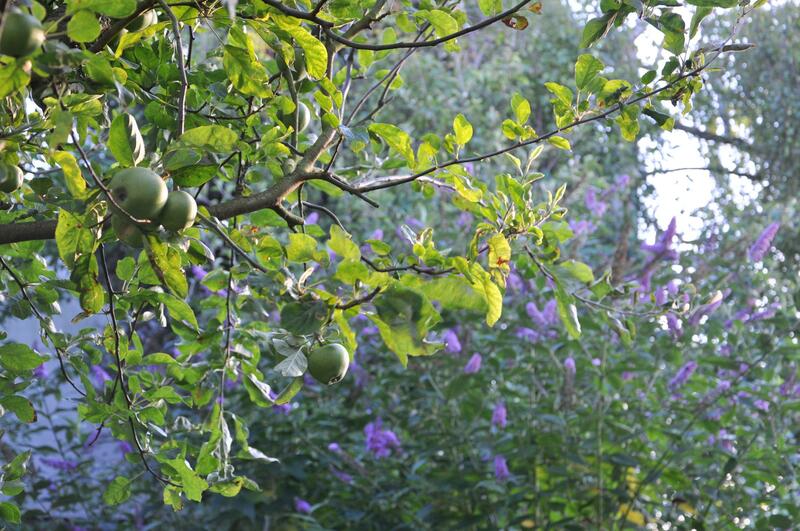 Loads more left to pick – mustn’t grumble apple crumble. Apples anybody? 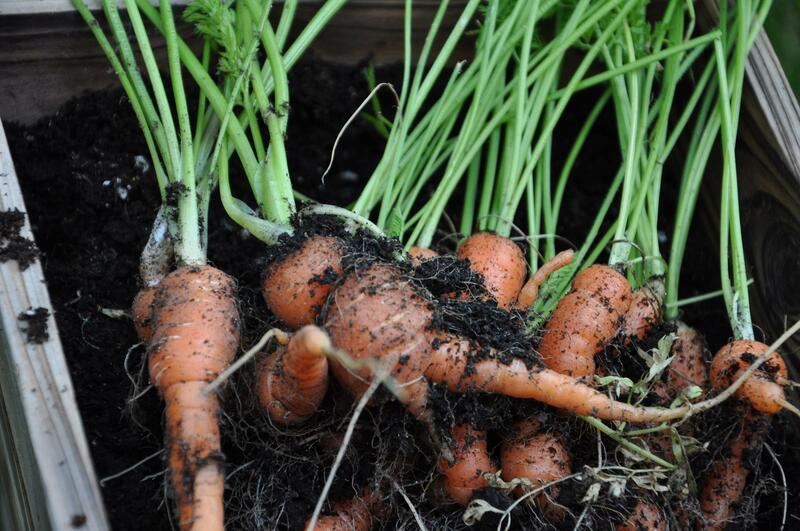 Home grown carrots – where else in the world would you get carrots that looked or tasted like this? 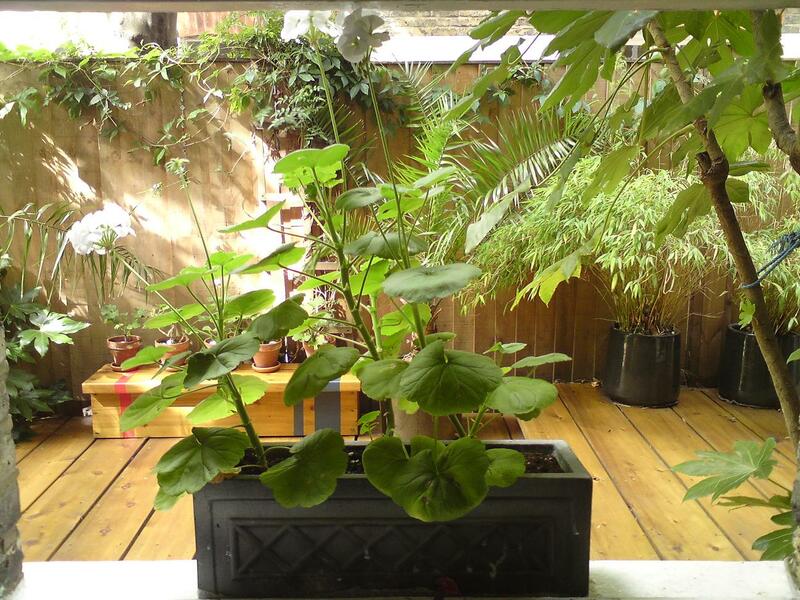 Next Next post: Summer Days Drifted Away……..